It’s hard not to notice someone riding down the street on a beach cruiser. Beach cruisers are lovely to look at, wonderful to ride, and they are generally cheaper than mountain bikes. Beach cruisers transport you in style and comfort. You will not be darting through traffic in a beach cruiser. No. Beach cruisers are designed to indulge your deeper need for luxurious well-being. Beach cruisers are not just for holiday, they also serve as an excellent method of transportation to work, the market, school or to visit a friend. 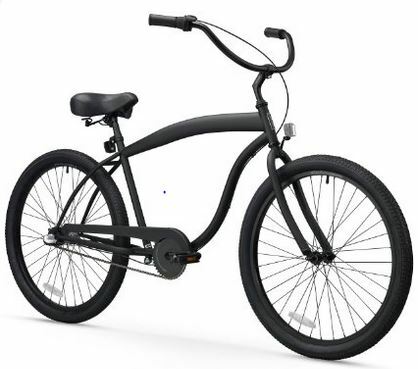 Beach cruisers feature 26 inch extra wide tires, wide sprung padded seats, sturdy frames and user friendly coaster brakes that help you glide to a smooth stop. Beach cruisers are made heavier with frames that are usually made of steel. The heavier frame gives them a smoother ride, makes them easier to handle and creates more stability. 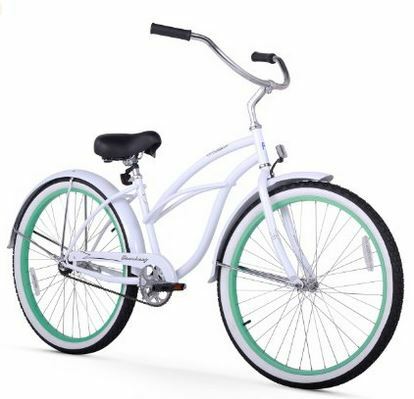 Beach cruisers love to travel on flat or gradually undulating gravel, dirt and paved trails. 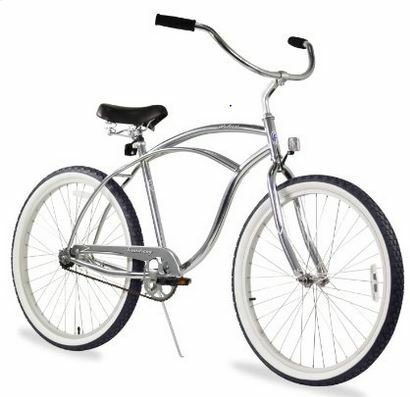 Beach cruisers are described as having balloon tires that are extra wide. These tires tend to be thicker making them more stable and less likely to puncture. The extra width of the tires also makes them ideal for riding on sand, boardwalks and sidewalks. Most beach cruisers come with 26 inch tires but you can also find them with 24 inch tires if you prefer. Beach cruisers have wide sweeping handlebars shaped like a flattened “C” or fancy “U.” These handlebars are key in the upright riding position enjoyed by the drivers of beach cruisers. This upright position is more natural to your skeletal system putting less pressure on your joints. Grab a smoothie, relax, and cruise along in serenity. What gears you say? Exactly. Beach cruisers are designed to have only one gear. This gives the traveler complete freedom to enjoy the surroundings without fussing with gear shifts. However, in an effort to meet the needs of those who do not live on ‘lake time,’ designers have begun to build cruisers with as many as seven gears. I prefer single gear cruisers, especially if you are purchasing your first beach cruiser. You are less likely to have mechanical failures with a single gear bike, saving you money and headache. Coaster brakes are the perfect name for brakes found on a beach cruiser. Once again, these brakes allow the traveler to pay attention to the path and scenery by using the pedals to stop the bike. Simply move the pedals backward and you will stop. The more pressure you apply, the faster you will stop. This allows you to coast to a smooth stop without spilling your smoothie. Beach cruisers are all about comfort. Cruiser seats are wide, padded, sprung and perhaps the bike’s most important feature. 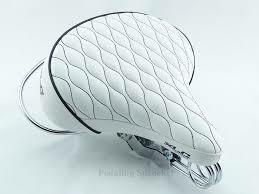 You will not find a standard bicycle seat more luxurious than the seats found on beach cruisers. The springs and padding of the seat, combined with sturdy frame and wide balloon tires, create an experience that will pamper your senses. Beach cruisers all have a similar look but you may notice a slight difference in the frame style of those bikes identified for “men” verses those identified for “women.” There is no real difference outside of aesthetics. 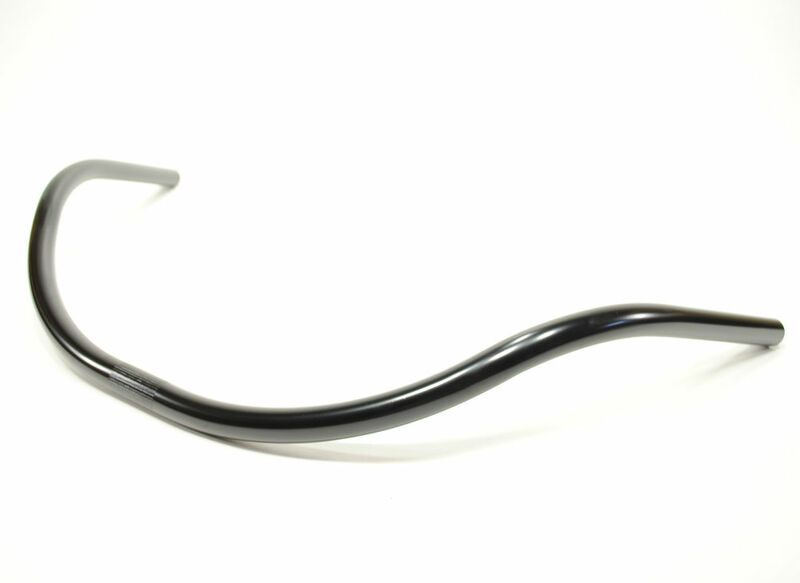 Cruisers designed with women in mind tend to have slimmer frame tubing and more curves. Just find the bike you like and buy it. It makes essentially no difference how the manufacturer identifies the bike by gender. Beach cruisers are NOT very expensive. 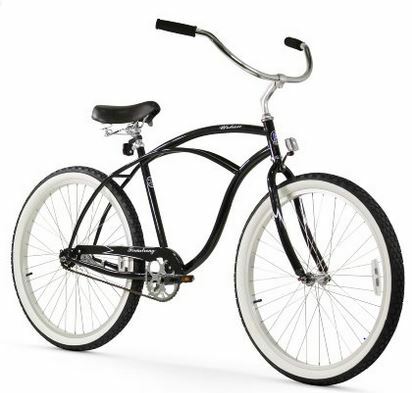 You can purchase an exceptionally stylish and luxuriously comfortable beach cruiser for about $300. That is approximately the cost of renting a cruiser for one week. 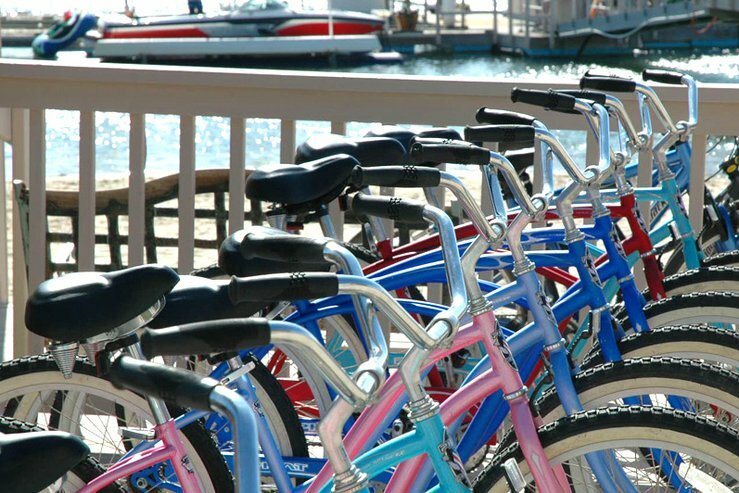 Because the frames of most beach cruisers are made of steel, many manufacturers offer lifetime warranties on the frame. Choosing a beach cruiser is a very personal decision. However, I have included some recommendations for your review. Firmstrong beach cruisers are generally my favorite. Although I can appreciate the attributes of other brands, you get the most bang for your buck with Firmstrong. The Urban Lady model has beautiful lines and is available in a wide array of colors. This bike is available with either 24 inch or 26 inch tires with options for 1, 3 or 7 speeds. I prefer the single speed option which is available for approximately $200 – $360 depending on the color. If you want a hassle free, high value beach cruiser, this is the bike for you. Click on the Firmstrong Urban Lady to get more information. Huffy makes some of the coolest looking bikes on the market. 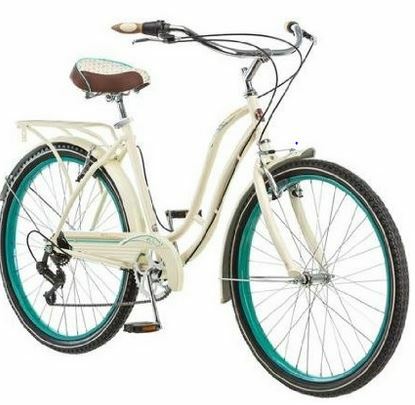 The Huffy Nel Lusso Women’s Cruiser has all the creature comforts of a beach cruiser but Huffy goes a step further. This bike comes with a rack on back, a cup holder for your latte, and a front basket. It also has very cushy pedals and handlebar grips. All this is available in gloss blue with crème color tires for approximately $150. Click on Huffy Nel Lusso to get more information. 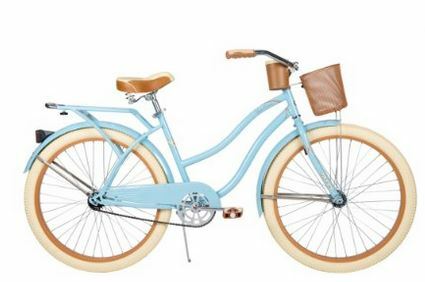 Critical Cycles Women’s Beach Cruiser is a dependable, hand built, stylish bike. This beach cruiser is one of the best deals out there. If you are not partial to lots of accessories, this is the bike for you. Throw your beach towel and water bottle in your backpack and cruise on down to the beach. This bicycle is available for approximately $180. 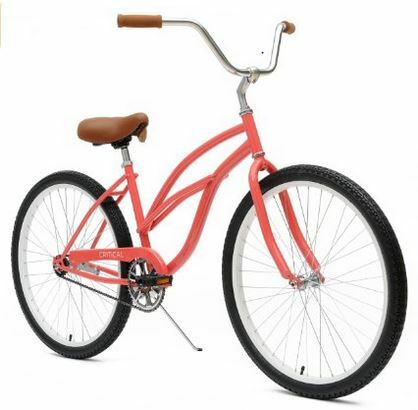 Click on Critical Cycles Women’s Beach Cruiser to get more information. No list would be complete without an offering from Schwinn. The Schwinn Fairhaven offers a low profile frame making it easy to get on and off. This bike includes full fenders and a rear carry rack. The 7-speed shift make traveling longer distances, and up small grades, much easier. This bike is available for approximately $180. 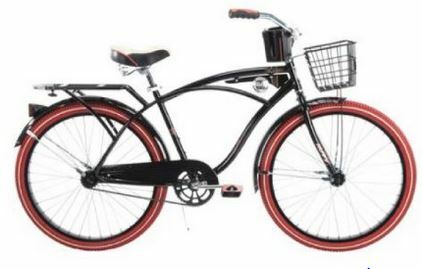 Click on Schwinn Fairhaven 7-speed Cruiser Bike to get more information. 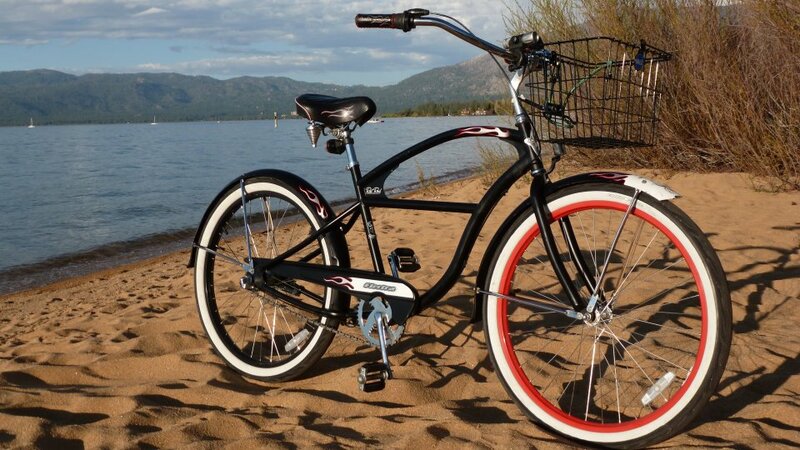 Firmstrong beach cruisers are a win-win in any style. The Urban Man model has beautiful lines and is available in a dozen colors for around $230. My favorite is the black. The bike come practically preassembled, so you can be cruising the trails in no time at all. This is one of the most popular beach cruisers selling today. Click on Firmstrong Urban Man to get more information. The SixThreeZero In the Barrel will take you on longer journeys because of its three speed design. This bike offers a larger, beefier, 18 inch frame in a variety of colors. It is a bit pricier at approximately $370 but that is because it is worth more. Click on SixThreeZero In the Barrel 3-speed to get more information. Look familiar? Yes, this is basically the same bike that I listed above, but lighter. The Urban Man Alloy Single Speed has an aluminum frame and weighs in at 37 pounds. The lighter weight makes it a little easier to pedal over longer stretches. If you are thinking of pedaling to work on a regular basis, this could be the perfect choice. It costs approximately $240 and is available in black and silver. The silver is $300. Click on Firmstrong Urban Man Alloy Single Speed to get more information. The Nel Lusso by Huffy looks like an adventure and comes with the provisions to prove it. 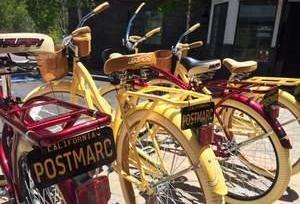 It has all the earmarks of every beach cruiser but with added flair. The Nel Lusso includes: an adjustable rear rack, a handlebar beverage holder, super cushioned seat and brakes, and a handlebar basket ready for your small cooler. Take a vacation in your own neighborhood. The Nel Lusso is available for $160. Click on Huffy Nel Lusso Cruiser to get more information. Whew! I hope my recommendations and research help you find your beach cruiser bliss. Although I only featured a couple of models, you cannot go wrong with Firmstrong. You can spend over $2000 on a great beach cruiser, but why do that when you can get a great bike for closer to $200. If you are not sure what you want, rent a beach cruiser for the day and try it out. Beach Cruisers should be simple, sturdy and provide a smooth ride. Try to keep it simple and start cruising today!